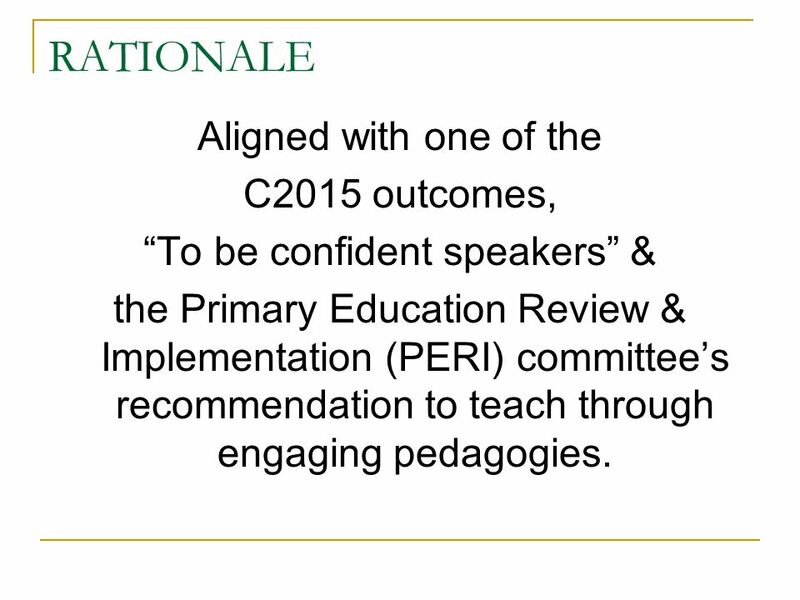 2 RATIONALE Aligned with one of the C2015 outcomes, “To be confident speakers” & the Primary Education Review & Implementation (PERI) committee’s recommendation to teach through engaging pedagogies. 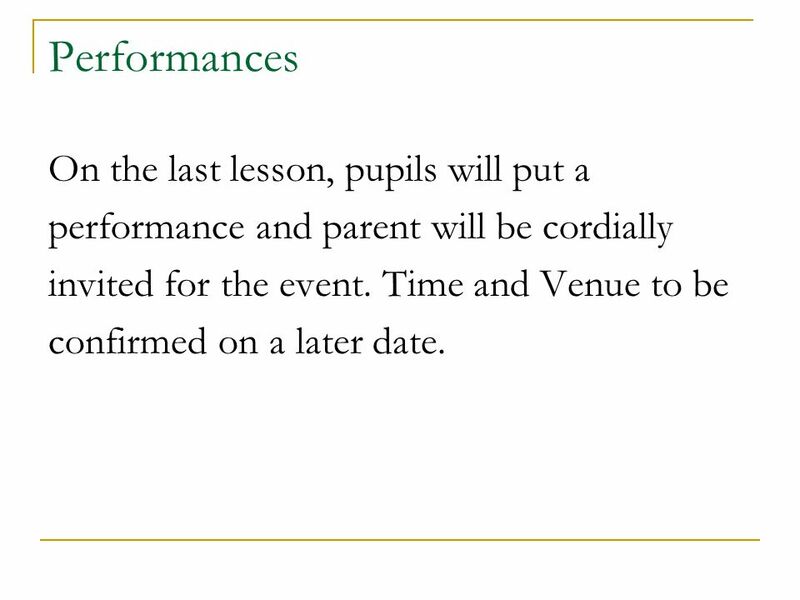 8 Performances On the last lesson, pupils will put a performance and parent will be cordially invited for the event. Time and Venue to be confirmed on a later date. 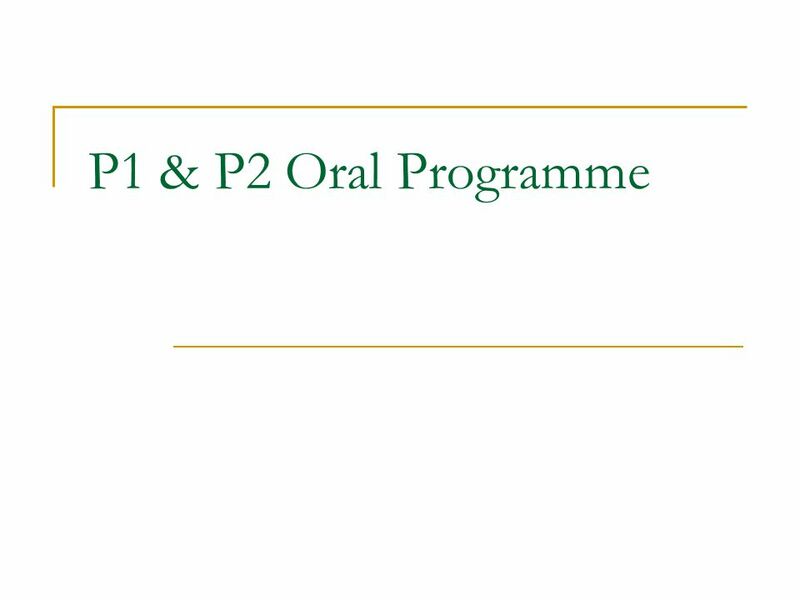 Download ppt "P1 & P2 Oral Programme. 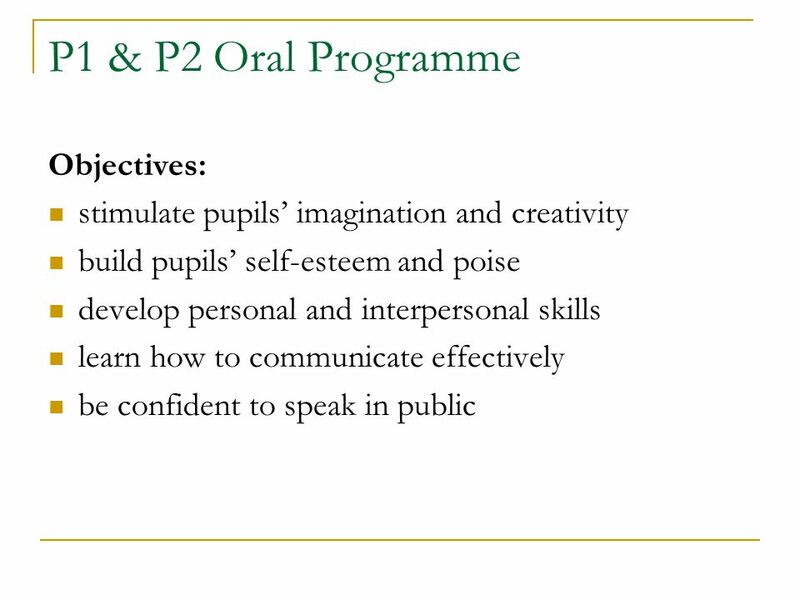 RATIONALE Aligned with one of the C2015 outcomes, “To be confident speakers” & the Primary Education Review & Implementation (PERI)"
2014/2015 English Course Offerings for Incoming Grade 11 Students Challenge Yourself! C. & M.A. 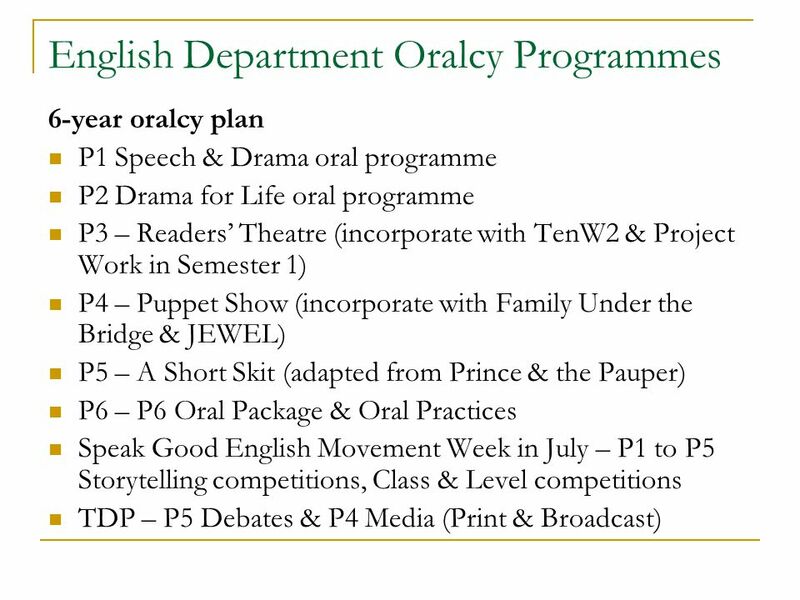 Chui Chak Lam Memorial School 11 June English pull-out programme: Young Playwrights’ Theatre. UNESCO Associated School Experimental Establishment of the Institute of Pedagogics of The Academy of Pedagogical Sciences of Ukraine. 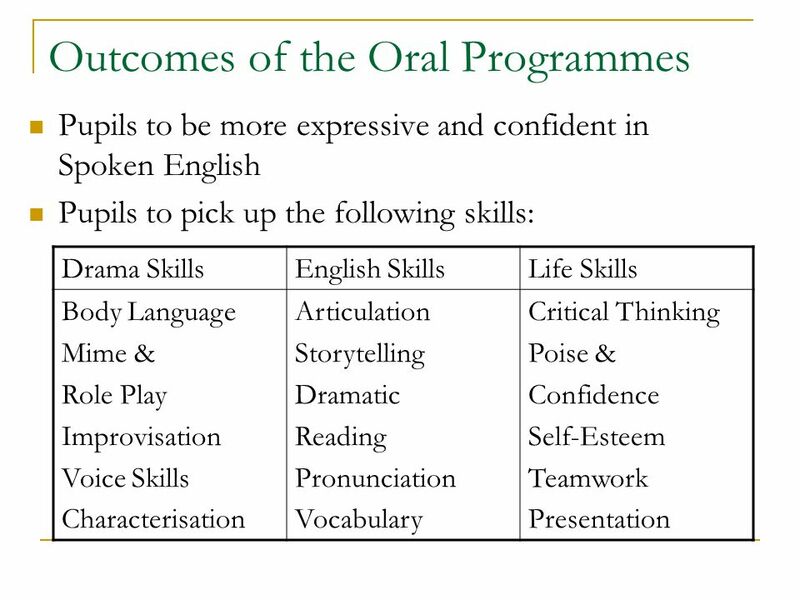 Characteristics of Young Learners How do children acquire a language? ACTION PLAN Ayesha Mujtaba DA Public School (O & A Levels) English, Grade VIII. MS. BUSHRA BHATTI THE CITY SCHOOL DARAKHSHAN CAMPUS ENGLISH LANGUAGE JR. VI ACTION PLAN. J.E.W.E.L : P4s Just Excited With English Language 21 January 2011 RVPS. 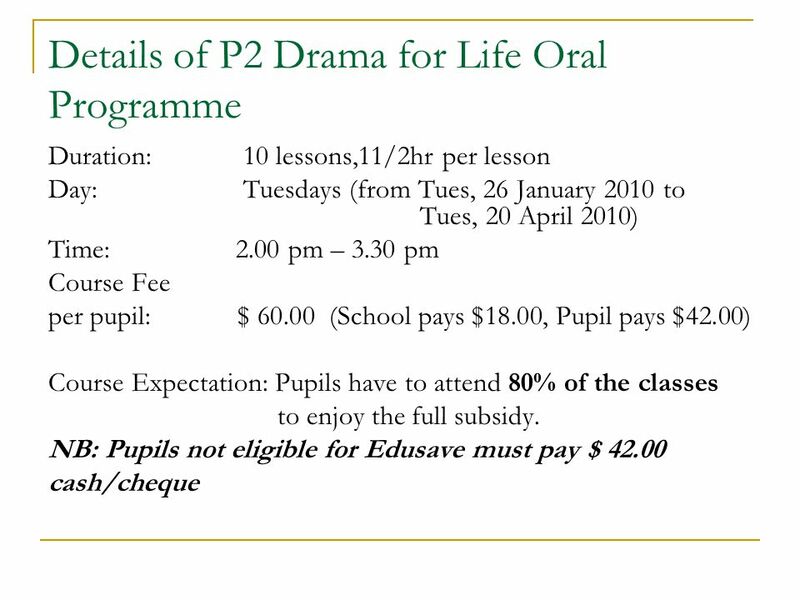 Module 2: Assessment in Creative Arts © 2006 Curriculum K-12 Directorate, NSW Department of Education and Training. Good English Teaching Practices: Yuen Long Lutheran Secondary School EMB Consultancy Project Researchers: Gary Harfitt & Hofan Chau. ARUNODAY PRATISHTHAN Creative arts workshop employs professional artists To teach classes. This course is available for students At all levels of age and. Good literacy practices observed during inspection Mary Gilbride 21 November 2014. ASYNCHRONOUS ONLINE FOREIGN LANGUAGE Dra. Leticia McGrath Georgia Southern University Dr. Mark Johnson Advanced Learning Technologies University System. 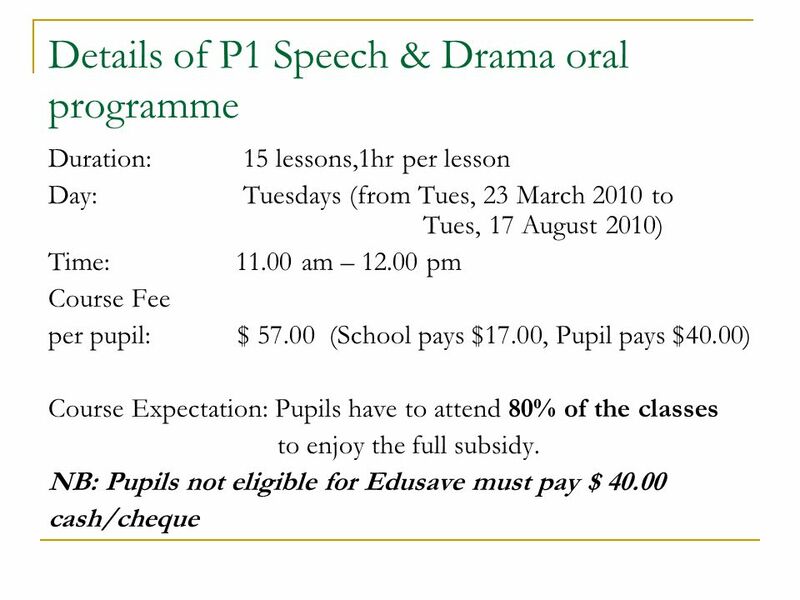 Introduction to Course of Study in Drama Stages 5 and 6. Drama Methods & Education Douglas Gosse, Drama in Education At the University of Winnipeg  The University of Winnipeg has an excellent Education.